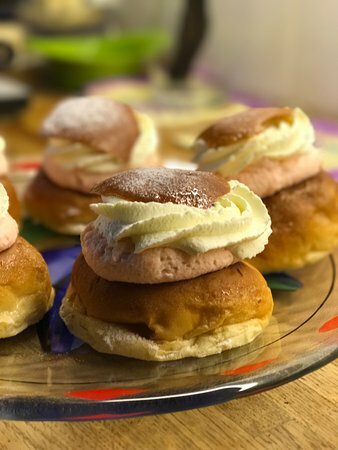 Best Swedish "semlor" hands down! 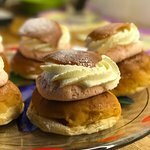 Mullers was recently voted the "Best Semlor" in town. I have to agree. If you're in Nynäshamn and in need of a good "fika" (coffee break) swing by Mullers. The fresh-baked pastries, cookies and cakes are awesome! Would you like to fika? If you feel like fika i Nynäshamn. This is the place to go. It's small and cozy, and Mullers have been around since the end of the 50's. Everything is made right here, since it's a bakery, too. Get quick answers from Mullers Bageri Och Konditori staff and past visitors.